Wayne Talcott, Ph.D., ABPP, Col USAF (ret) Dr. Talcott is a Professor of Public Health Sciences, Co-Director of the Center for Addiction and Prevention Research (CAPR), and Director of the Center’s Military Population Health Program in the College of Medicine at the University of Virginia. Although a faculty member at Virginia, he lives in San Antonio and works on Joint Base San Antonio – Lackland AFB, TX. 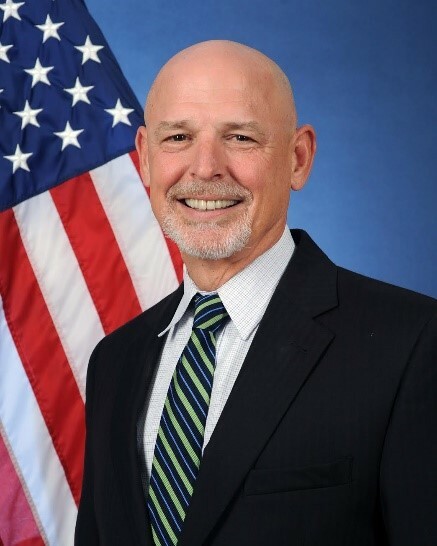 Located at the 59th Medical Wing, he oversees five large National Institutes of Health (NIH) grants and one DoD grant with active duty military and TRICARE beneficiaries addressing tobacco cessation, substance abuse prevention and weight management. Dr. Talcott is responsible for all grant operations on military installations ensuring both quality research and respectful collaboration with the Air Force. Dr. Talcott has had an unconventional academic career having served 28 years in the United States Air Force as a Psychologist. During his Air Force career, he served as the Training Director of the Air Force’s Clinical Health Psychology fellowship program for nine years and was an Assistant Director of the Psychology Internship program. He also served on the headquarters staff of the Air Force Surgeon General’s Office where he was Chief of the Community Prevention Division. During his seven years on the Air Staff he was responsible for the Alcohol and Drug Prevention and Treatment Program, Suicide Prevention Program, Family Advocacy Program, Exceptional Family Member Program and was the Consultant to the Surgeon General for Psychology. Additionally, he was responsible for writing policy for the management of health risk behaviors in the Air Force, including the policy to increase the price of tobacco on all military installations. Dr. Talcott deployed to Iraq where he served as the Deputy Commander at the 332nd Air Force Theater Hospital, Balad AB, Iraq. Over his career he received an Iraq Campaign Medal, Meritorious Service Medal with four Oak Leaf Clusters and a Legion of Merit. His active duty experience has been beneficial in establishing strong collaborative relationships with the Air Force. In 1993 he served as the Military Project Director for the largest Air Force tobacco cessation project, impacting over 30,000 Airmen. Since his retirement from the Air Force in 2010, he joined the faculty of the University of Tennesse until CAPR relocated to the University of Virginia School of Medicine. He has been an investigator in eight National Institutes of Health grants and one Department of Defense grant. He is a consultant to the Chief of Air Force Health Promotions and provides training in motivational interviewing to civilian and military health providers. In addition, Dr. Talcott volunteers and is a credentialed provider at the Wilford Hall Ambulatory Surgical Center where he provides treatment to military beneficiaries, supervises psychology interns and residents, and supports other important military research. Haibach, JP, Glotfelter, MA, Hall, KS, Masheb, RM, Little, MA, Shepardson, RL, Dobmeyer, AC, Funderburk, JS, Hunter, CL, Dundon, M, Hausmann, LRM, Trynosky, SK, Goodrich, DE, Kilbourne, AM, Knight, SJ, Talcott, GW, Goldstein, MG (2016). Military and Veteran Health Behavior Research and Practice: Challenges and Opportunities. Journal of Behavioral Medicine. Talcott, G. W., Ebbert, J. O., Klesges, R. C., Linde, B. D., Krukowski, R., Seals, R., … & Martin Zona, D. (2015). Tobacco research in the military: Reflections from 20 years of research in the United States Air Force. Military Medicine, Aug;180(8):848-850. Little MA, Talcott GW, Bursac Z, Linde BD, Pagano LA, Messler EC, Ebbert JO, Klesges RC. Efficacy of a brief tobacco intervention for tobacco and nicotine containing product use in the US Air Force. Nicotine Tob Res, 2016 May;18(5):1142-9 doi: 10.1093/ntr/ntv242.Epub 2015 Oct 27. Cigrang, J., Talcott, G. W., Tatum, J., Baker, M., Cassidy, D., Sonnek, S., …& Slep, A. (2014). Impact of combat deployment on psychological and relationship health: A longitudinal study. Journal of Traumatic Stress, 27, 1-8.